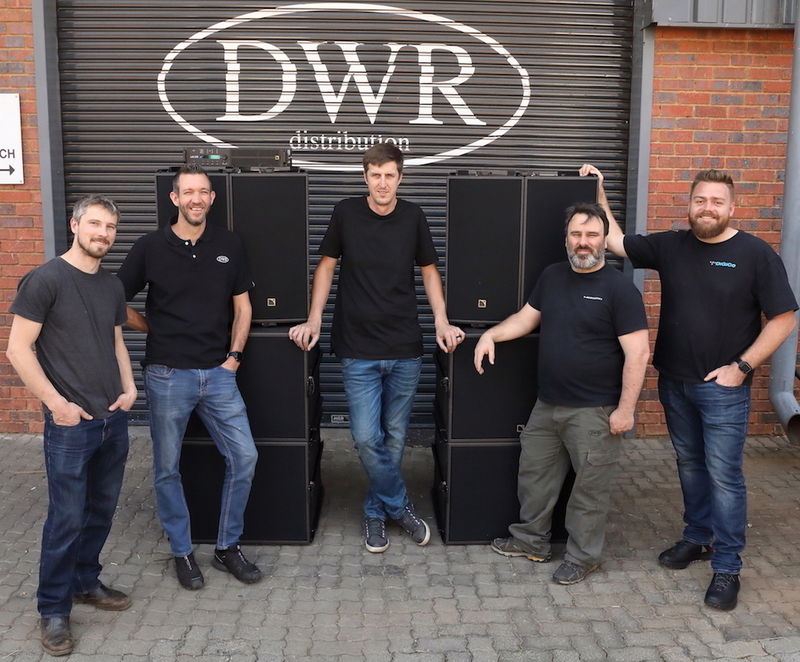 Petru Palmer from Festival Sound (centre) with DWR’s Jaco Beukes, Chris Pugh, Richard Smith and Kyle Robson. 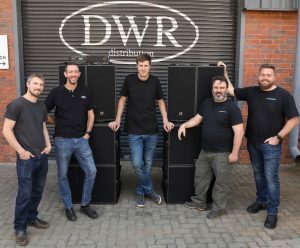 South African based Festival Sound have invested in additional L-Acoustics equipment – ARCS Focus – that will enable them to service more clients and offer flexibility to events. Both ARCS Wide and Focus brings the legendary sonic qualities of L-Acoustics Wavefront Sculpture Technology line sources into a compact, constant curvature enclosure, optimal for medium throw applications. The ARCS Focus is a Constant Curvature WST® Line Source. The plug-and-play package enables quick set-up and easy flying. The directivity is scalable from 15° x 90° to 360° x 90° by 15° increments. It can be used for fills, distributed systems, FOH and central clusters amongst others.